I’ve been telling myself that I had to wait until I’d written 10k words of the new Pen boys novel before I wrote this blog. That seems asinine, I know, but I just realized why I was doing it. Whenever I was writing a new fanfic, I made myself wait until the 10k mark before I started posting it. That way, if I lost interest in it, I’d still have a fair amount of story to share; or, if I got behind in writing it, I’d have stuff saved up to post. And, if I never got to the 10k mark, then I wasn’t one of those people that just wrote one chapter and ran away. So, here I am today, writing away, finished chapter four, checked my word count, and got all excited that I’d hit 10k because that meant that now I could talk about it. I’m facepalming right now. I always make up these insane rules for myself, and it’s so stupid. Last year, I made up the rule that I wasn’t allowed to buy any new books until I’d read the 100 unread books on my shelves. Logical, I know, because holy mother, I shouldn’t own 100 unread books. But what. How am I supposed to survive as a writer if I’m not allowed to buy books? How am I just supposed to survive in general? I kept adding exceptions to the rule–I could buy a new book if it was for book club, or if it was by Maggie, or if it was for research. Eventually, I just nixed the rule and made a new one. When I went book shopping, I had to finish most of the books I bought before buying more. That seems fair. And it’s working so far, too. I’ve still got a few leftover from Christmas of last year, but I’ve been finishing at least 80% of my book stacks before I buy new ones. Hi, I’m writing again! That was a rough few weeks. That’s a lie. Okay, so the first couple of weeks were really good. I spent all of my free time reading books and fanfiction, watching Shameless, and just enjoying life. My brain wasn’t consumed with the overwhelming need to write. I’d just spent a straight year doing nothing but writing, and it felt really nice to take a breather. As expected, that lasted only about two weeks before I was starting to crave words. But what was next? I posted recently about how I was frustrated, and circling three different stories. It’s kind of funny how the Pen boys sequel wasn’t even on my radar. I was thinking about my vampire detective (Andrew), the Madhouse Adventures (Mason), or a new idea, witch sisters. I really tried with Andrew, too. I started plotting, I did character sketches, I figured out his extensive backstory, and I did two tarot readings for him. It wasn’t enough. Or, it was, but I’m still not ready to write him. Mason, I knew right away that I wasn’t going to be able to dive back into. So, I spent a week or two being frustrated. Where was I going? What was I doing? What’s next? No one is going to be surprised when I say I found the answer in yoga. Someday, I should probably write a blog about yoga and writing because (for me, at least) they go hand in hand. When I’m really struggling, all I need to do is step on my mat and let go, and the answer surfaces. Last Monday, the same day I posted the blog about being frustrated in my current writing space, I also posted on Instagram. “There wasn’t this bone deep ache twisting up my soul. The universe wasn’t humming in sync with my heart.” That’s how I felt while trying to plot out Andrew’s story. And really, that’s not necessary to write a novel. You don’t need to be falling apart to write. But these boys–oh, these boys. I honestly don’t even know how to explain them. They just fill up every silent second in my soul. They invade my thoughts and make my bones shake and explode across my synapses. They remind me of Alex, a character who I spent twelve years thinking constantly about, which I guess kind of describes them. Back to the story, though. I went to class because why not. I’d had a long few weeks, I was exhausted, and I was officially on a social hiatus. I just needed to recharge, to get away from the world and let the light inside build back up to a fire. What I needed, it turned out, was Oliver and James and Harrison. 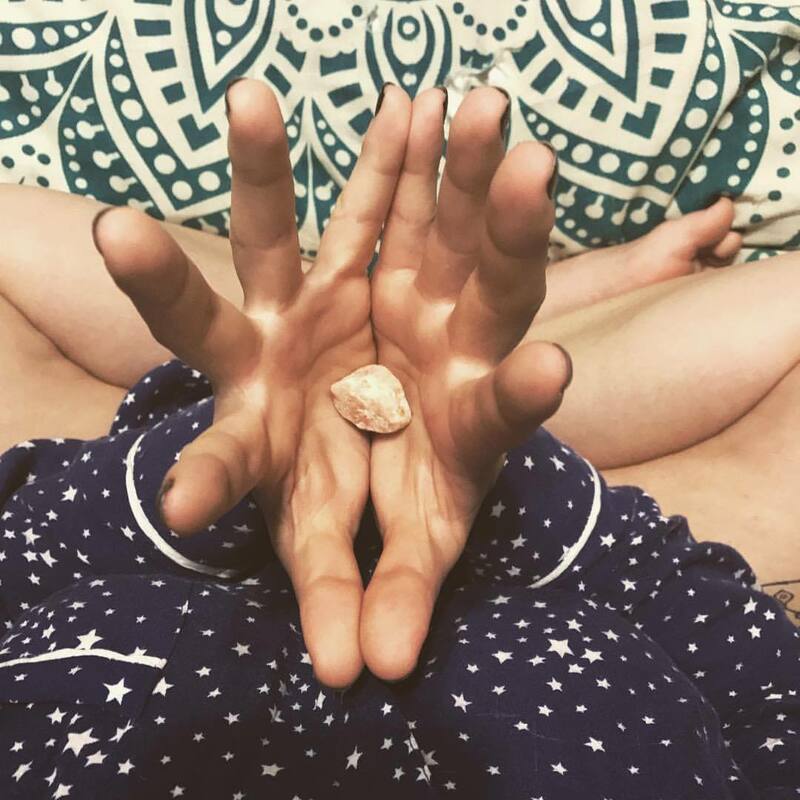 At the end of class, Jenny invited us to hold the crystals she’d set at the top of our mats during our savasana. I’m not lying to you, I swear. This was exactly what happened in my savasana. I sat up at the end of class dazed, and grinning like a maniac. What’s next? Pen boys, book 2. Alright, let’s take a step back. We’re still on Monday, 9/11. After class, I drove home (still grinning like a maniac and probably scaring everyone on the road), yelled on my way in that I’d discovered the secrets of the universe, and ran into my room to draw cards. If you’ll remember from my last post about tarot and writing, I said I was never going to use the TRP deck for the Pen boys. Ha, lies. I didn’t even think about it when I got home. I just pulled it off my bookshelf, and started shuffling. I’ve never used this deck for them, but oh man, it was exactly what they needed. So, what’s going on here? Nothing good, that’s for sure. Somehow, every single one of them is going to have a bad year but Oliver. I said this to Erin, and she said, “That’s because he’s already lost everything.” Ouch, but true. 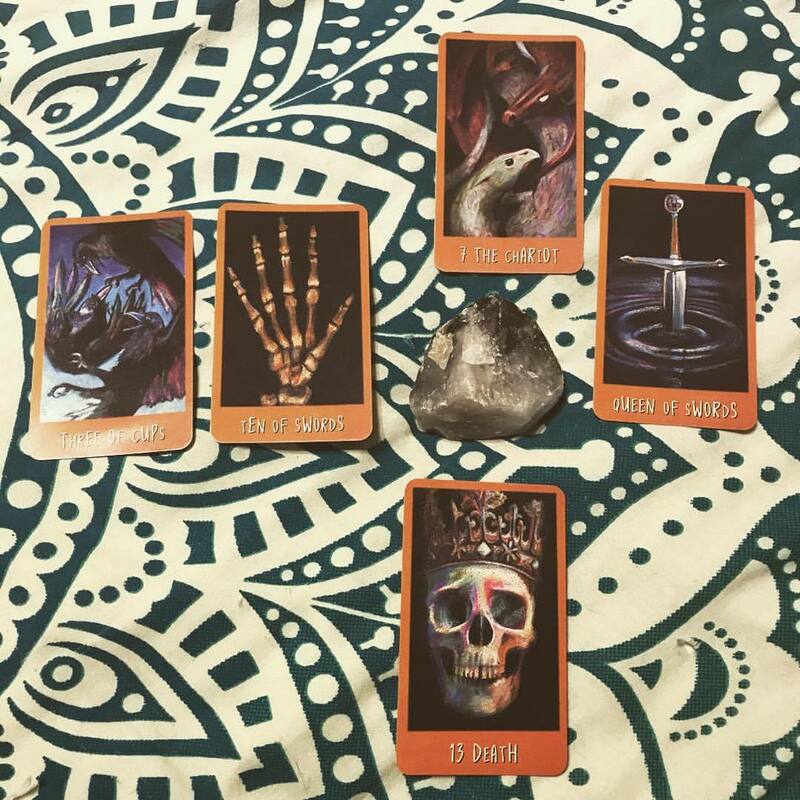 In the spirit of my tarot post last week, I’ll break down this reading with the why and what. Why: I’m a mess. I think I can get away from these boys, and I just can’t. This reading isn’t even for the novella I’m writing right now, but for the second novel. That makes no sense. I’ll explain in a second. What: Okay, starting left to right. James and Oliver are always paired together, Jasper and Jensen are usually near each other, and Harrison stands out. James: ten of swords. Ahem. When I finish this series, I’m going to look back and laugh at how many times I’ve pulled swords for this poor boy. The ten of swords is rock bottom. I once pulled this for Alex the Destroyer. It is ruin. It is not a good place to be in. However, it’s also the end of something awful, and it asks a very important question–what’s next? How can you grow from this? How can you move on? James does not have a great year coming for him. This summer is going to be pretty good, but the year ahead is just dark and bleak and wow. I feel bad for him. Oliver: three of cups. Olly’s in such a good place right now, and I’m so happy for him. The three of cups talks about bountiful joy. He’s got truly amazing friends right now that support him and are helping him step out of the darkness. His upcoming summer is going to be one of the best ones in his life, and even though there’s a lot of terrible things waiting on the horizon, his next year is still going to be great. He is really, truly flourishing right now. And god, he deserves to. Jasper: the chariot. This is twofold. The chariot talks about a strong will and the inner warrior. The task ahead requires a focused mind and sure footing, which Jasper definitely needs. He’s about to be tested in ways he never has been before, and he needs to remain strong to get through it. This gives me hope for him that he’ll come out the other end lighter and brighter. Jensen: queen of swords. WIthout giving too much away, I was very surprised at this card. We might not like the direction Jensen’s headed in, but, in a way, this definitely does describe his mindset. The mother of swords is sharp and perceptive. It sometimes represents a woman going through a difficult time, which Jensen doesn’t think he is, but the others don’t really agree. Things are about to get very unsteady in their group, and it’s due in large part to Jensen. Harrison: death. Okay, don’t freak out. Harrison’s not going to die. The Death card almost never actually means literal death. Instead, it talks about transformation, about coming out of the dark, about growth. A chapter in Harrison’s life is ending, and it’s time for him to move onto the next one. Like the others (except Olly, and really, how the hell did that happen), his upcoming year is less than ideal. He’s going to change a lot, and we may not like him all that much at times, but oh man, I can’t wait for you to see him after. Real quick, jumping back to the timeline of this series. The Pen boys takes place over their sophomore, junior, and senior year at school. However, one of the things that bothered me the most about the Harry Potter series was that we only ever got to see Harry in school. We never really saw his summers. Not only that, I really didn’t want to leave these boys. I wanted to keep writing them. So, in addition to the three main novels, there will also be two summer novellas. These won’t contain any big plot points, will only see the boys through one minor adventure, and will be short. This is the hardest part for me. I’m already 10k deep, and I really need to reel it in. For this novella, they’re going to Harrison’s house in Spain, and they’ll be fighting off a demon they accidentally on purpose summoned, and it’ll mostly be them having fun and goofing off. If, when these are published, you think this is all just some gimmick and don’t want to read the novellas (that’s dumb), the three main novels can be read without these. And now jumping back to those cards. After Jenny’s class, I drew these with the intention to look at their junior year. I didn’t know yet that I was going to make the novellas an actual part of the series. Originally, my plan was for them to act as fanfiction for myself and Erin just because I wanted to play, but I think they’ll fit nicely into the overall arc, so I’m writing them as actual potential published things someday. Thus, I don’t have a reading for this summer novella, but I don’t really need one. Like I said, it’s mostly just them being boys and having fun. Their junior year, though? Oh yeah, that’s the dark novel. It’s just full of bad things. All the bad things. We find out who Ella is and why she’s such a big deal, Harrison’s family starts to fall the heck apart, Jensen starts to SPOILERS, Jasper digs deeper into dark magic, and Oliver just has a good time, okay. Leave Oliver alone. He needs a break. During their sophomore year, I carried this because Oliver needed it. While everyone else was busy having a grand old time, he was the one falling apart. Our first introduction to Oliver is not a happy one, and continues to be fairly miserable for most of the novel. He’s been through so much over the last year, and when he starts at Penhallam, he really is at the end of his rope. Our boys do a lot to help him step back from that ledge, but, truthfully, it’s Oliver that finally takes a deep breath and says enough. Some days, he needed this stone more than others, and I would carry it in my pocket for him. During one of their rituals, he absentmindedly picks it up and holds onto it until it’s time for the ritual to start. Lately, I’ve been carrying it with me almost every day, not because he still needs it, but just to remind him that it’s okay to be in a good place. James may invoke the biggest emotional reaction out of me, but Oliver is my favorite out of all of them. He is so sweet and sad, and trying so damn hard to keep on keeping on. He is, perhaps, one of the strongest characters I’ve ever written, and I’m so proud of him. My intention is the Pen boys. My goal is to love them and be with them and experience their journey. So, here I am. Originally unsure of where I was going next, and now jumping in headfirst. Maybe I was exactly where I was supposed to be all along. Maybe I’m supposed to be writing this series from beginning to end. We’ll see. Either way, I’m ready.